An Audacious class ironclad battleship, she carried sails as well as steam engines Launched 29 May 1869 - foundered, with the loss of 17 crew 17 September 1914. In 1876, she was paid off in Plymouth and for the next two years, underwent essential maintenance there. On completion, she was sent to Malta in the early summer of 1878 and began her Mediterranean career by ferrying troops to Cyprus before joining others ships of the Fleet in the Sea of Marmosa. Joining the Mediterranean Fleet was considered one of the Royal Navy's cushiest postings. It was also an important posting because the duty of the garrison on the Island of Malta was to protect the vital sea link between the United Kingdom and those parts of the British Empire which lay in the Middle and Far East. The Fleet itself was a balanced unit consisting of a wide range of vessels and was regarded by the Admiralty as the world's primary naval force. The climate in Malta was excellent, duties were not onerous, and there were many and varied recreational activities, not to mention opportunities to meet Maltese girls, marry on the island and and set up home there. Occasionally, there were annoying little events which disturbed the gentle pace of life for a brief time and one such occurred in 1882, the year following the taking of the 1881 census. It was to bring Battle Honours to HMS Invincible. In the Spring of that year, under the command of Admiral Seymour* (who, on this occasion, flew his flag from HMS Invincible) the Mediterranean Fleet was sent out of port to deal with actions taken by Colonel Arabi Pasha, Egypt's War Minister. He had become a virtual dictator and was judged to be getting out of hand. . News had been received that Colonel Pasha had ordered the construction around Alexandria's harbour of a number of gun emplacements or forts, each surrounded by dense earthworks offering protection to crews, guns and ammunition - in other words, major fortifications. Rioting had been reported in the town and some Europeans had been killed in hitherto safe areas. Britain did not waste time sending a gunboat - instead, as evening fell, a flotilla of its finest warships set off to carry out Admiral Seymour's plan. *Admiral Frederick Beauchamp Paget Seymour (12 April 1821 to 30 March 1895) was C-in-C of the Mediterranean Fleet 1880 - 1883. HMS Alexandra was the Admiral's usual flagship. "In the event of my not receiving a satisfactory answer to a summons which I shall send to the Military Governor of Alexandria, calling upon him to deliver up to me temporarily, the works on the southern shore of the harbour, and those on the Ras el Tim peninsula, the squadron under my command will attack the forts as soon as the twenty-four hours given to neutrals to leave the place have expired which will be at 5.0 am of the 11th. 1. From the inside of the harbour, in which the Invicincible, Monarch and Penelope will take part. 2. By the Sultan, Superb, Temeraire, Alexandra and Inflexible, from outside the breakwater. Action will commence by signal from me: when the ship nearest the newly-erected earthwork, near Fort Ada, will fire a shell into the earthwork. On the batteries opening on the off-shore squadron in reply, every effort will be made by the ships to destroy the batteries on the Ras el Tim peninsula, especially the Lighthouse Battery, bearing on the harbour. When this is accomplished, the Sultan, Superb and Alexandra will move to the eastward, and attack Fort Pharos, and, if possible, the Silsileh Battery. The Inflexible will move down to the position off the Corvette Pass assigned to her yesterday, and be prepared to open fire on the guns in Mex Lines, in support of the in-shore squadron when signal is made. 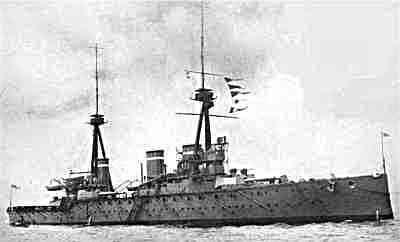 The Temeraire, Sultan and Alexandra will flank the works on Ras el Tim. The gun-vessels and gunboats will remain outside and keep out of fire until a favourable opportunity offers itself of moving in the attack on Mes. Ships must be guided in a great measure by the state of the weather whether they anchor or remain under way. If they anchor, a wire hawser should be used as a spring. The men are to have breakfast at 4.30 am and are to wear their working rig. The in-shore squadron will be under my personal command: the offshore ships under that of Captain Hunt-Grubbe, CB., of the Sultan. The Helicon and Condor will act as repeating ships. Finally, the object of the attack is the destruction of the earthworks and the dismantling of the batteries on the seafronts of Alexandria. It is possible that the work may not be accomplished under two or three days. Shell is to be expended with caution, not withstanding that the Humber, with a fair proportion of reserve ammunition, may be expected here on the 12th. Should the Achilles arrive in time, she is to attack Fort Pharos, or place herself where the senior officer of the off-shore squadron may direct."